Republic of Ireland boss Martin O'Neill will have to make at least two changes to his side for Tuesday's friendly international against Poland. Stephen Ward and Jon Walters have returned to their club sides after picking up injuries during Thursday's 4-1 Nations League defeat to Wales. Ward picked up a foot injury in Cardiff and has gone back to Burnley to receive treatment as he attempts to be fit enough to feature in Sunday's Premier League game at Wolves, which the Clarets are 19/4 to win. Portsmouth striker Ronan Curtis has been added to the squad after scoring five goals in six League One games following his summer transfer from Derry City. Wolves' Matt Doherty could replace Ward although Enda Stevens and Cyrus Christie are also in contention to feature against Poland, who failed to qualify from their group at World Cup 2018. "They've a new manager, there's a feel-good factor and a real buzz around Ryan Giggs' first home game and they played really well while we didn't play as well as we wanted to so were punished by the quality of the likes [Gareth] Bale. "Everyone is disappointed about how the game went but make no bones about it everyone is hell-bent on turning it around. [We know] we've got to get our heads down. "We've got other big games coming up against them and Denmark but first it's a friendly and it’s ' big opportunity for us. We want to stake a claim and right the wrongs." 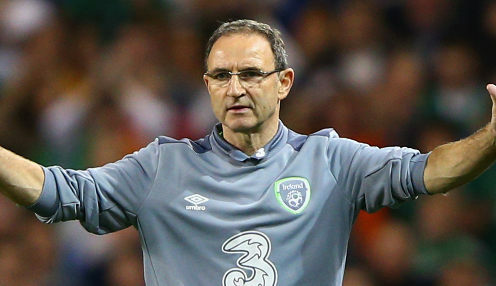 Ireland are available at 6/1 to beat Poland on Tuesday. Republic of Ireland's revised squad: Doyle (Hearts), McDermott (Kristiansund BK), Randolph (Middlesbrough); Coleman (Everton), Christie (Fulham), Doherty (Wolves), Duffy (Brighton), Keogh (Derby County), Clark (Newcastle United), Long (Burnley), Egan and Stevens (both Sheffield United); Judge (Brentford), Hendrick (Burnley), Hourihane (Aston Villa), Williams (Millwall), Meyler (Reading), Horgan (Hibernian), O’Dowda (Bristol City), Burke, Robinson (Preston), O’Brien (Millwall), Curtis (Portsmouth).